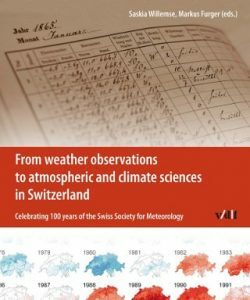 In 2016 the Swiss Society for Meteorology (Schweizerische Gesellschaft für Meteorologie, SGM) celebrates its 100th anniversary. With this book SGM takes a look back and recapitulates the developments of both science and SGM – and their interaction. 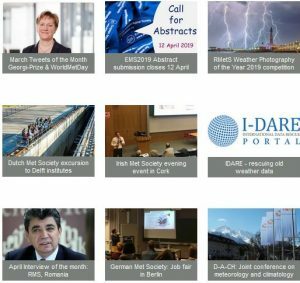 As meteorology grew from the beginning on in a very international context, nearly all described developments have a more or less strong connection to the international scene. Although aware of these close ties, the editors nevertheless decided to concentrate on contributions to atmospheric sciences that originated in Switzerland. 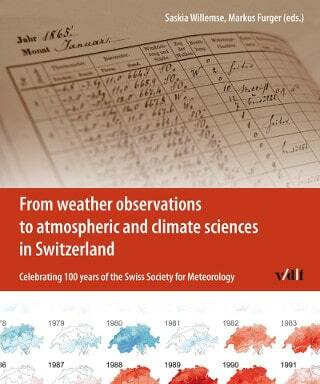 Following a chapter on the history of the Swiss Society for Meteorology the contributions are grouped in five blocks, concerning the early pioneers, measuerements as foundation of meteorology, specific atmospheric phenomena, evolution of atmospheric chemistry, and climate sciences. The book is available as a printed edition for 46 [euro] (or 48 SFR) as well as an Open Access ebook.